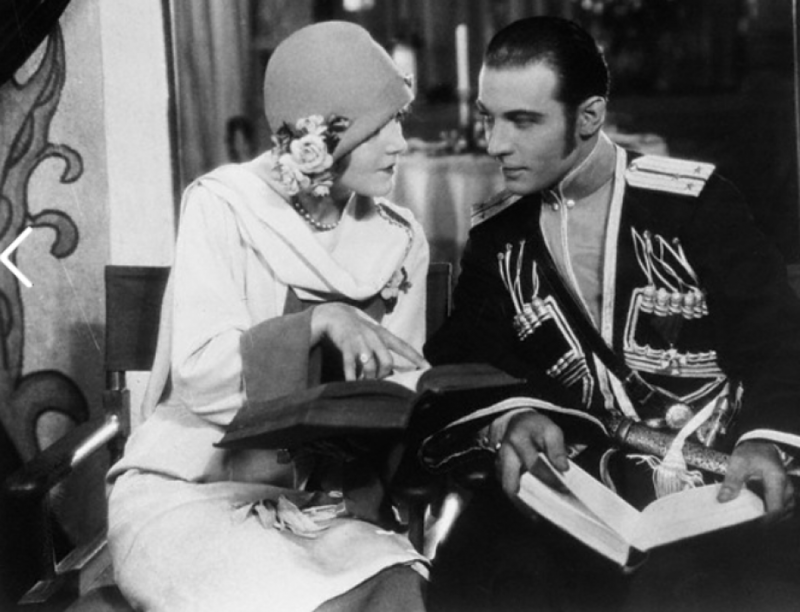 Rudolph Valentino arose at 5’oclock this morning, hurried into his clothes and dashed off to work. He is doing that every morning now for the sheik of the screen is taking his return to the movies seriously. At 7 o’clock every night Director Sidney Olcott tells him that will be about all for the day and that he can run along now but be sure to be on time in the morning. He has been saying the same thing for two months now and he probably will be saying it for a month longer until the picture “Monsieur Beaucaire” is completed. Then Rudy will have a whole week in which to rest before he plunges into the work of making his next picture. It is a strenuous life indeed that Rudolph is leading these days, but it certainly agrees with him. For all of which, he gives entire credit to two persons Mrs. Valentino who sees, that he eats only the right things and Chris Schnurrer his trainer who sees that he gets plenty of exercise. “My business is to see that the boss is kept al pepped up” said Chris as Rudolph bent low to touch with his lips the fingertips of the lovely Doris Kenyon, “look at him – ain’t he full of pep”? Rudy certainly did seem to be “full of pep” and yet Mrs. Valentino, gazing on the same scene didn’t seem to be a bit jealous. “Isn’t she sweet”? she asked. Mrs. Valentino wasn’t so hard to look at herself. The process of pepping starts at 5 o’clock every morning in a basement room of the Long Island studio which Chris has fitted into a gym. Here he gives Rudolph his daily fencing lessons to prepare him for one of the scenes in the pictures play that is still to be made. Afterwards the star has a busy half-hour with the pulley weights and then a vigorous rubdown at the hands of his trainer who boasts that he once performed a similar office for the Chicago Cubs. “What do I do next”? asked Rudy “I eat some breakfast” with the accent on the “some”. Actual work before the camera does not start until 9. But making up one of the principal actors in a costume play requires from an hour up to two hours. Adjustment of the wig alone consumes fully an hour. “It requires a world of patience to make a picture” remarked Valentino after the scene finally had been taken and retaken several more times and there was more standing around while waiting for the next scene. “But it is more fun than touring the country giving dancing exhibitions”.